N-Queens problem is another classical combinatorial problem, proposed by German chess enthusiast Max Bezzel in 1848. The problem follows the rules of chess, to place n queens on an n x n chessboard so that no two queens can attack each other. That is, no two queens on the chessboard are in the same row, column, or diagonal. r is an integer representing the fulfilled rows, initialized with 0.
which evaluates to be O(n!). Since each row can only be filled with one queen, it is also possible to directly use permutation to help to solve the problem: with random permutations, check if there are violations on the board. If not, return or append the result. A smarter way to use permutation is described by this paper, which is published in the 1990's by the University of Utah. 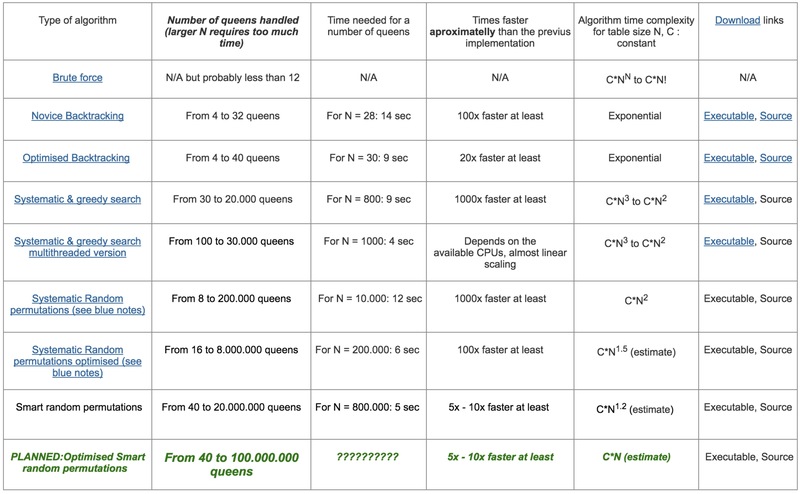 The difference is that in the case of rule violations, it checks whether swapping the position of queens for conflicting rows reduces the number of violations in total; if so, then make the swap. This is a gradient based heuristic search, which achieves O(n3) time complexity. it does then swap Qi and Qj. 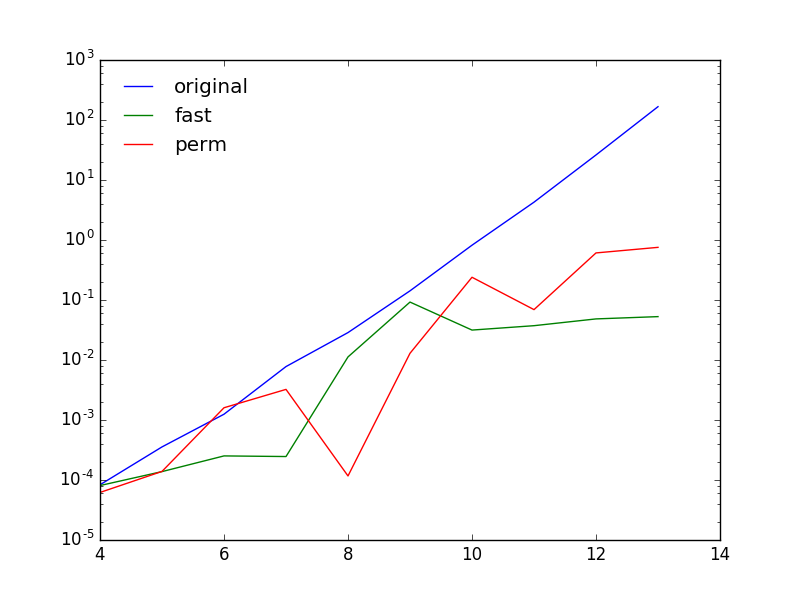 To make the efficiency clear, I tried all three algorithms and plotted the result on log scale running time, where the x-axis represents the size of the chessboard, from 4 to only 13, since the brute-force recursion cannot finish in reasonable time above 13.